A quick update regarding the Panasonic semi region free post I made here. 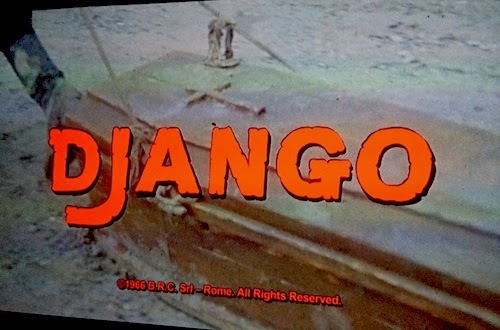 Someone had linked to my post on a French forum, suggesting (from the google translation at least) that while it worked on the Django disc, it doesn't work on Criterion, Scream Factory and Fortune Star blus. I don't have any Scream Factory discs to try, but I do have a number of Criterion and F.S. titles to try and they all work perfectly as I described in the post. However, this made me decide to go through the rest of the region A discs I have at hand, and the results are a mixed bag to say the least. If you're looking for a true multi region player then the Panasonic players will disappoint, as during testing a number of blu rays from different companies proved to be incompatible. In almost all instances this appeared to be down to the disc having been programmed to not respond to any button presses other than eject, meaning it isn't possible to press stop before pressing top menu. The first I found was the Canadian Vengeance trilogy release, with all three films refusing to co-operate. Other discs that fall into this category include Vexille from Funimation, Lone Wolf And Cub from AnimEigo, Drive from Sony Pictures and everything from 20th Century Fox, amongst others. Hong Kong wise, they all work other than The Storm Riders from Universe. As always there are anomalies, with a couple of discs refusing to work using the stop/top menu trick, but if you then press 1 and ok they will play and the menu can then be accessed, very bizarre. A good example of this is the Mill Creek double bill budget release of Keoma and The Grand Duel (A surprisingly good disc btw). So, it isn't quite the multi region dream machine it appeared to be, however a player that unexpectedly plays Criterion discs along with many others it shouldn't, is still a bit of a bargain! I've recently had to replace an ageing (for ageing read knackered) blu ray player, unfortunately my first choice Oppo was out of reach. Instead I settled on the Panasonic DMP-BDT130, a decent if seemingly unremarkable slab of consumer electronics. The huge drawback of this player (like most) is that it's locked to region B for blu rays, meaning many of my import discs are unplayable on it. Or so I thought! The player can be purchased from various outlets in a modified form allowing multi region playback, but this comes at considerable cost. Another option is "enhanced firmware" which will doubtless render your warranty useless and again doesn't come cheap. 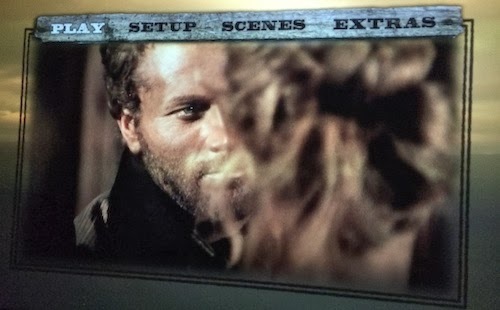 As it turns out neither option is necessary, as a simple sequence of button presses results in the player playing any blu ray you care to throw at it. When I say simple I mean simple, not like some remote control region hacks that require finger dexterity beyond the limits of reason. Press two buttons and that's that, region free nirvana! Insert your region A blu ray, in this case Blue Underground's release of Django (the only one of their blu rays to be coded), and wait for it to spin up. Once it has done you will see an onscreen message complaining of a region mismatch as below. When this happens press stop on your remote (one down and one to go), the message will disappear and then you need to press the Top Menu button. The player will spring back into action, and load the disc, and that's all there is to it. I have no idea how this has slipped through the net at Panasonic, but it seems unlikely to be accidental. It's something I've never come across before and qualifies as a fantastic bonus. It was something completely unexpected and really sweetened the pain of having to buy a replacement. So if you find yourself in a similar position of needing a new player with a region free option, this is going to be pretty hard to beat. It seems to work across the full range, and I can confirm it works on the much more expensive mid range 330 model. I suspect it will also work on the brand's previous models in the same series, but cannot confirm that. 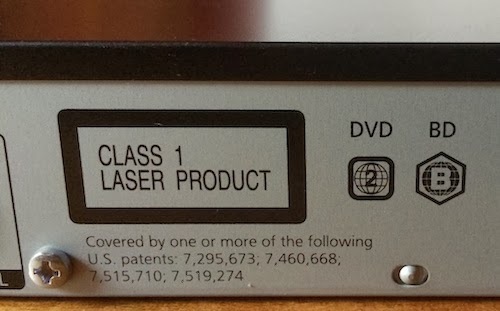 Curiously it doesn't work with dvds, though this is pretty easy to circumvent with a remote control device available on ebay for around £12 which will make it region free for dvd. I see no reason why this wouldn't work on players from other regions such as the US, to allow region B playback. If anyone can confirm this please leave a comment. I was going to post a review of Benny Chan's heroic bloodshed throwback The White Storm, however I've since read Kozo's LoveHKfilm piece on the film here. Ross' ever perceptive review covers everything I was going to write (and more). So instead, I'm going to give my thoughts on certain aspects of the film, without the need to go into the plot etc. I wanted to love The White Storm, I really did. After all, who among Hong Kong cinema fans hasn't dreamt of a resurrection of the heroic bloodshed film? Cause I sure as hell have. Take a director with a track record in solid action (particularly The Big Bullet), arguably Hong Kong's best actor Lau Ching Wan, sorry Sean Lau as it is again now, and two of it's most improved in Nick Cheung and Louis Koo. Mix together and you should have a recipe for a great time. Unfortunately, what you get from this particular mix is a long time rather than a great time. Yes this Hong Kong action movie has a distinct case of Koreanitus, clocking in at around 140 minutes and I'm afraid the prognosis is not good. Frankly it's a ridiculous running time for the story on offer. 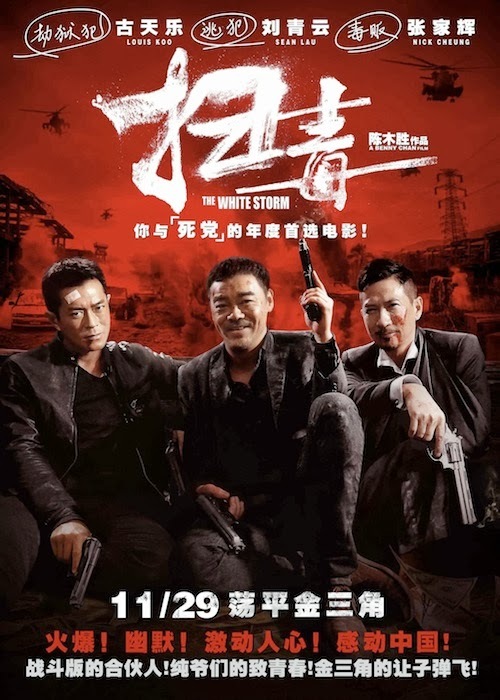 It isn't that The White Storm is a terrible film, or even a bad one in fact as far as recent HK action fare goes it's fine. The problem is it could and should have been so much better. The film's major flaw is the writing, with a total of five writers credited including director Chan, it's no surprise the film is so muddled. Overwrought pretty much throughout, the script saddles it's stars with long unnecessary monologues, the kind that spell everything out and stop the film dead in it's tracks. That the actors emerge from the film with any credit from their performances, is testament to their skill and charisma alone, as they are done no favours whatsoever by the material they're given to work with. Leading on from the muddled screenplay, Chan seems unsure of exactly what kind of film he's making. While taking huge chunks from the John Woo handbook, the direction (and script) are unwilling to commit to a full on irony free bloody bromance. So you get many of the the genre motifs, but none of the heart and sincerity that made the genre so compelling back in it's heyday. This lack of commitment leaves the film in a kind of limbo, somewhere between the heartfelt Woo style and the irony filled Johnnie To style, and dramatically at least it just doesn't work. This confused style is also present in the (still very good) action sequences, particularly the ending. Where the film needed to go fully Woo, it doesn't and instead feels like a mix of a Woo and To style shootout, even to the extent that the blood from the bullet hits is a mix of Woo style bloody squibs and To style puffs of powder like blood. I hate to be so pedantic but the mixture looks odd, and further distanced me from feeling anything from the drama. In his review, Kozo states Nick Cheung steals the show, this is where I take a different path, as for me Lo Hoi Pang's outrageous hair, runs away with the entire movie, almost literally. It simply steals every scene it appears in. All in all The White Storm is a missed opportunity. A movie worth watching yes, especially if you're a fan of the genre, but given the talent involved it has to go down as disappointing. Ultimately the long running time and the lack of heart relegate the film to a what could have been status. All the same I hope The White Storm does well enough to prompt a resurgence of all that is heroic and bloodsheddy in Hong Kong cinema, I for one feel it's time. You'd be forgiven for thinking A Hero Never Dies had actually gone and died. After saying I was back and raring to go, you get five posts and then silence... Almost three months of it. Anyway I'm still here, and so with as little drama as possible, cue whisper, I'm really back this time. What can I say? Getting myself back to normal has been much tougher than I anticipated, and unfortunately something had to make way for that process to happen, so the blog and it's presence on the various social media platforms took the hit for team Never Dies. At this stage I don't want to make any bold claims for how frequent the updates will be, so please be patient, what I will say is I have plenty to cover! In the blog's downtime I've continued my obsession with Italian cinema, tearing through the Eurocrime and Giallo genres at a rate of knots, and having a great time doing it. As for Hong Kong movies, they've taken a backseat. It pains me to say it, but the last twelve months or so have proved to be pretty dire as far as new releases are concerned. 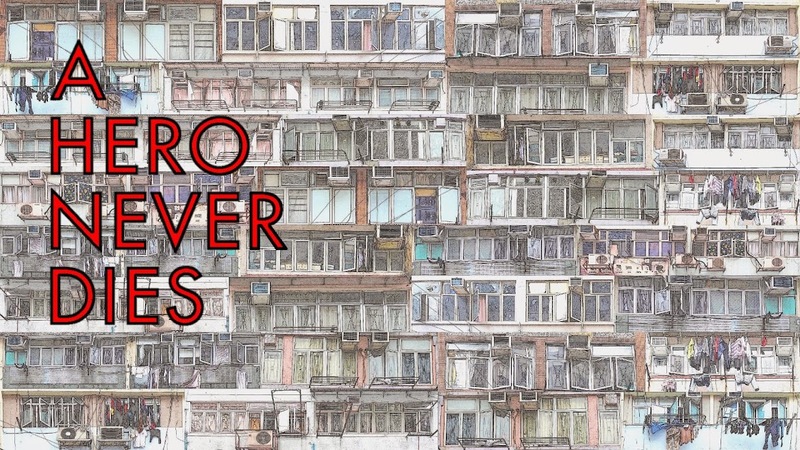 Everyone who follows the scene is aware of how the quality and not just the quantity of HK films has fallen over the last however many years, but I've always tried to stay positive. I'm sorry to say however this year feels like a new low to me. Getting back to the good stuff, I've been dabbling with buying and selling movie posters which has seen plenty of great artwork passing through AHND towers, some of which I'll be sharing in due course. Finally, a massive thank you to those of you still stopping by every now and then who haven't given up on me, and those who've checked in on fb with me, your support means a lot to me.